Tunisia suspends Emirates flights over UAE’s ban on women from country - The Maghreb Times ! Tunisia on Sunday suspended Emirates Airlines flights after a public outcry over security measures in the United Arab Emirates targeting women from the North African country. The announcement came two days after Tunisian government officials said the UAE had banned Tunisian woman from flying to or transiting through its territory. 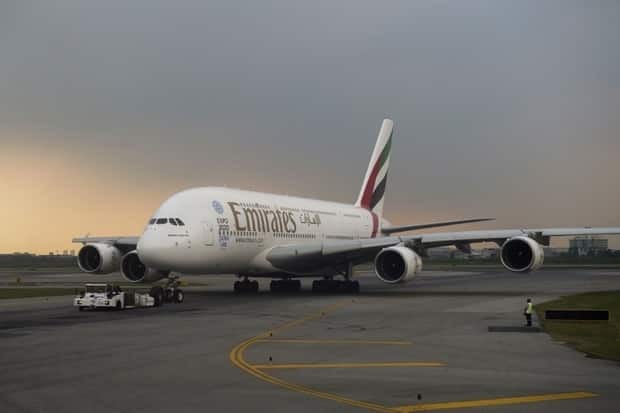 The transport ministry said it had “decided to suspend” Emirates flights to Tunis “until the airline is able to find the appropriate solution to operate its flights in accordance with international law and agreements”. Emirates said on Twitter it would stop its Dubai-Tunis connection from Monday following instructions from Tunisia. Several Tunisian women had said their travel to the Gulf state on UAE airlines had been delayed and some had been forced to undergo additional examination of their visas. That triggered angry reactions on social media and media outlets in Tunisia. Tunisian civil organisations and political parties called on the government to act. Relations between the UAE and Tunisia are already delicate for several reasons and this latest episode may inflame existing tensions. The UAE considers the 2011 revolutions that swept the Arab world as threats to its monarchy and national interest, and has worked to frustrate the democratic transition of Tunisia, the cradle of the Arab uprisings. Another contentious issue is the chaotic situation in Libya, where renegade general Khalifa Haftar is supported militarily and financially by the UAE. This fuels conflict in a country that shares a border with Tunisia, which sees the UAE’s involvement as detrimental to its security and stability. The UAE said on Sunday that “security information” had caused the delays on Tunisian women from boarding flights to the Gulf state. “We contacted our Tunisian brothers about security information that necessitated taking specific procedures,” UAE Minister of State for Foreign Affairs Anwar Gargash said on Twitter. “We should avoid misleading attempts… We highly value Tunisian women and respect them,” he said, without elaborating. The Tunisian government said on Friday it had asked the UAE ambassador for clarification, adding that the envoy said the decision was for only a short period and the restrictions had been lifted. Despite the clarification, Tunisian rights groups issued a statement on Saturday condemning the UAE measures as “discriminatory and racist”.